Home Unlock ZTE How to Unlock Vodafone R207-Z ZTE? 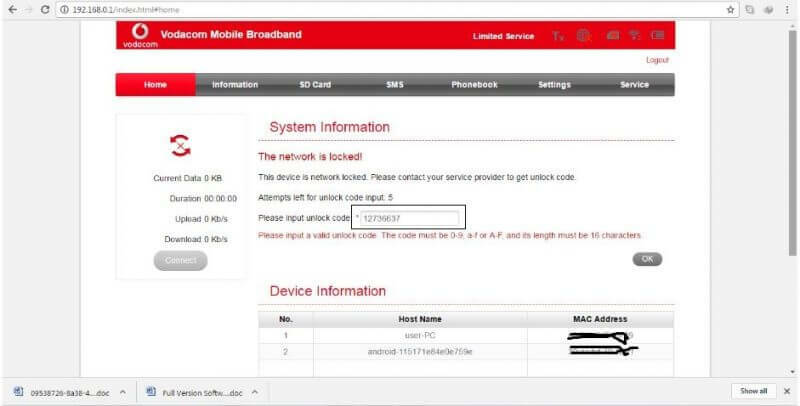 How to Unlock Vodafone R207-Z ZTE? Vodafone has launched Huawei make R207, that can be unlocked with a correct SIMLock code. Vodafone is also offering R207-Z MiFi router, that is ZTE make and different from R207. Vodafone R207-Z comes in black and white variant colors. It measures 102 x 50 x 13.7mm and weight is 68.9g. It has an LED screen to show the different states of the device and network. It is build of MTK 6280A chipset, carries 128MB ROM and 64 MB RAM. It has a micro SD card slot that can be upgraded up to 32GB storage. It has a 1500 mAh battery, that can operate for 3 hrs in WiFi mode. It supports GSM / EDGE / 3G / HSPA+ network. It features standard Wi-Fi 802.11 b/g/n. HSPA+ 21Mbps/11 Mbps DL/UL is supported by this router. It can be configured on IP address 192.168.0.1. Unlocking of ZTE R207-Z is similar to Vodafone R216-Z. 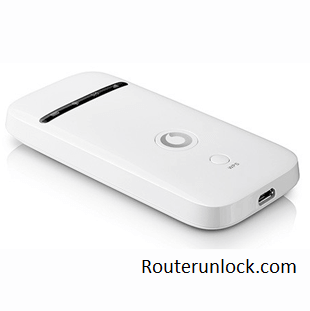 How to Unlock Vodafone R207-Z ZTE MiFi WiFi Router? 1. Switch off the ZTE R207-Z router. 2. Change the default SIM card of R207z with any other network provider. 4. Connect to PC using USB cable or WiFi. 5. Open My Computer >> Virtual CD-ROM. 6. Install in required drivers in PC. 7. Now it will open the default web page of the device (192.168.0.1). 8. Log in to the device with admin/password. 9. It should redirect you to the unlocking page. If not, then go to Settings >> APN. 10. Enter the 8/16-digit/character unlock code and press Enter from the keyboard. 11. Once the device will accept the code, it will start showing the signal of inserted SIM card. 12. Now create a new profile and connect to the internet. Note: Some devices does not prompt for SIMlock code in Settings >> APN. For those who are unable to search option for NCK / SIMlock code. Browse the default page of R207-Z in Chrome. Go to Settings >> APN. Right-click and select Inspect. Some codings will be opened. Search for Unlock. You will get “display: none” in three places. Replace it with “display: yes”. Now you will see an option to enter the code. Next articleHow to Unlock MTS 831FT (MF90)?